Each student makes a commitment to attend 27-30 four-hour Saturday morning tutoring and mentoring sessions each year during their sophomore through senior years of high school. 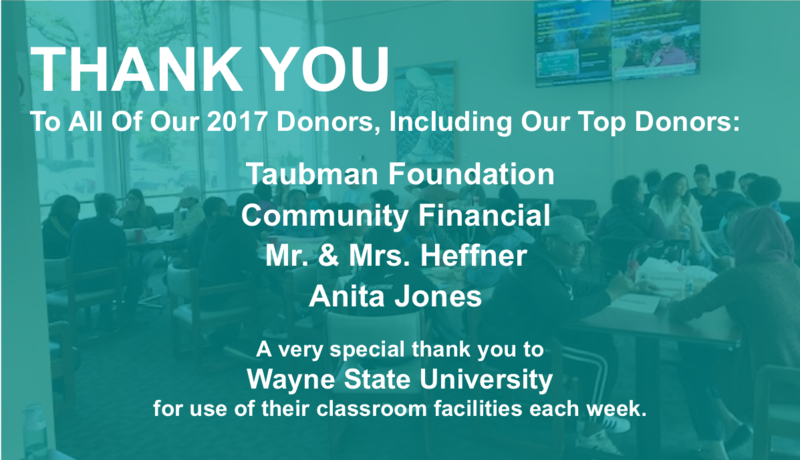 Our students’ consistent success in college and beyond would not be possible without the support of our volunteers, board members, staff, and donors. The time, energy, and resources you give to Minds Matter make an incredible difference in the lives of these young people, and we are extremely grateful. On behalf of our students, volunteers, and staff, thank for your support of Minds Matter. Arion & Ariana are our student spotlights this winter pictured here with their mentors Ben & Chelsea. 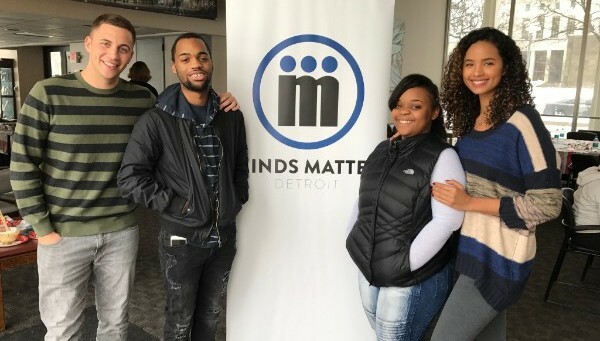 Ariana 19' & Arion 19' Why did you join Minds Matter Detroit? Ariana: I saw an opportunity that I couldn't let go to waste. Arion: It's a great opportunity as a student to push yourself and to make lifelong friends. Ariana: Coming every Saturday to do SAT Prep. Arion: Learning together in a group where we are all focused on a single goal. Ariana: How to open up to people and get out of my comfort zone. Arion: I've discovered new careers and subjects that I didn't realize I enjoyed. Minds Matter has also opened my eyes to colleges I wasn't considering before. Ariana: Know that you are not alone and that there are people out there that want to help you. Don't let this opportunity pass you by, give it your all, and reach for the stars. Arion: Be yourself, don't be afraid to ask questions, and don't be nervous about traveling for your summer program (it's not as bad as you think). Also don't take this for granted because not everyone gets an opportunity like this. I moved to Detroit two years ago for my medical school rotations at a local hospital. I knew that I wanted to reach out to youth in Detroit. I have been very fortunate in my life to have had numerous mentors that have helped me personally and professionally. I feel like it is my responsibility to reach back and help the next generation as well. 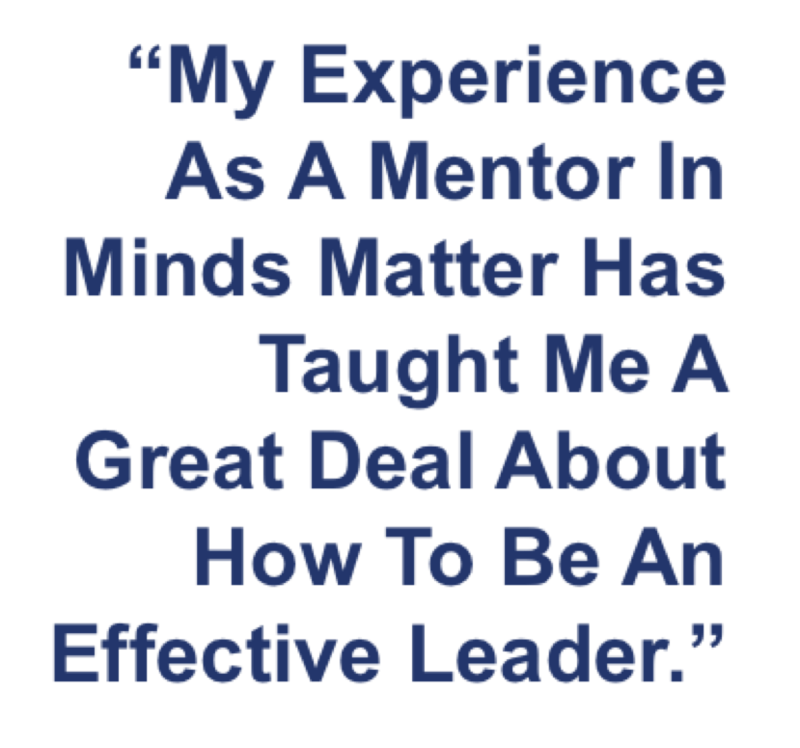 My experience as a mentor in Minds Matter has taught me a great deal about how to be an effective leader. I have learned that before helping someone accomplish their goals, it is imperative to have an understanding of where they come from and who they are as a person. This way you can meet them where they are, rather than assuming that your style will work best for them. In 2017 we had 10 students participate in a Summer Program, sending 9 to universities across the globe and helping 1 student to explore the world of GM with a summer internship. 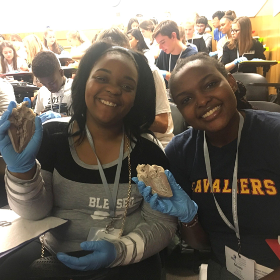 JaJuan, Georgetown: Basic Coding & Data Science Institute, Washington D.C.
Karleen, Georgetown: Journalism & Reporting, Washington D.C.
Ariana with a fellow classmate studying the heart. 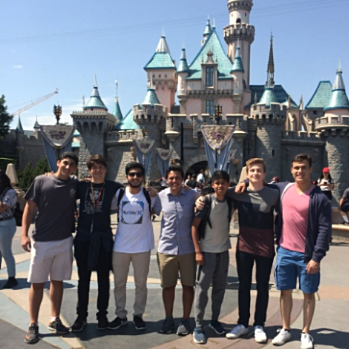 Oscar visiting Disneyland with his architecture group. 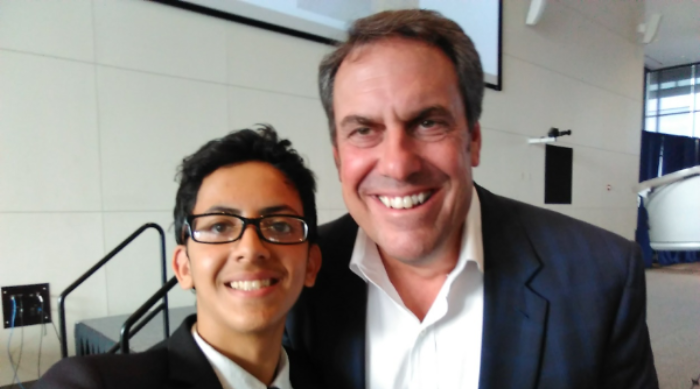 Thair with Mark Reuss, EVP at General Motors, during his summer internship. Want To Help Support MMD? "Wine Not" Come To Our Fundraiser! Mark your calendars today for our upcoming wine tasting fundraiser on March 28th at The Royce. The event will include a free wine tasting of three different wines chosen for the event. It's free to attend and donations are completely voluntary but keep in mind that whatever donations are made at the fundraiser and during the month The Royce has generously offered to match 100%. In addition to your donation, we invite you to purchase wine and other goods from The Royce because 10% of all sales on that night will be donated to Minds Matter Detroit. We will also be conducting a silent auction at the fundraiser with items like event tickets, gifts baskets, and weekend getaways, all up for grabs to the highest bidder and all directly supporting our organization. Hope to see you all there! 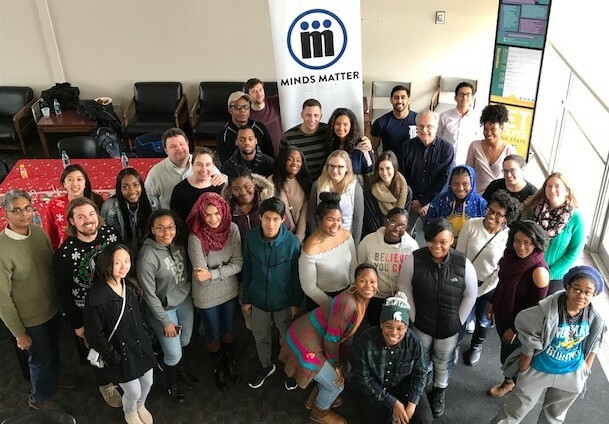 Copyright © 2018 Minds Matter Detroit, All rights reserved.